Don’t Miss Out: 48 Hours Left! – Zombies, Run! Don’t Miss Out: 48 Hours Left! Our Board Game Kickstarter finishes soon! Since we launched over 1800 people have given us their support and this is your last chance to join them. Our total’s now over £93,000, which is almost double our target. That means we’re already going to bring you a game that’s packed with thrilling audio story and full of zombie-escaping action to bring you and your friends together around the table. But every extra pound we raise lets us devote more time to making this game the absolute best it can be. As players of Zombies, Run! know, when we devote time to our games, great things happen. Backing now also means you’ll get this one-of-a-kind board gaming experience as cheaply as possible – pre-order and retail players won’t get such a great price! Want to know what the game’s like to play? Check out this fantastic preview from Thomas Deeny at Purple Pawn gaming. Thomas had some lovely comments and really does a fantastic job explaining the feeling of sitting down to play. 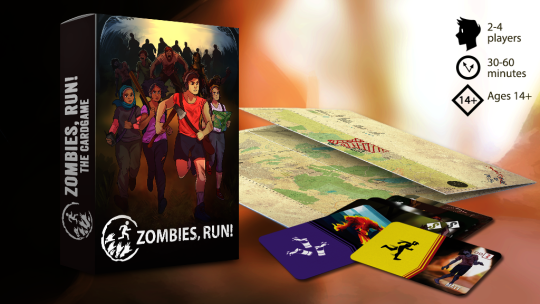 Backing the game isn’t just about bringing the world of Zombies, Run! to your tabletop – it’s also a great way to support Six to Start and everything we do. 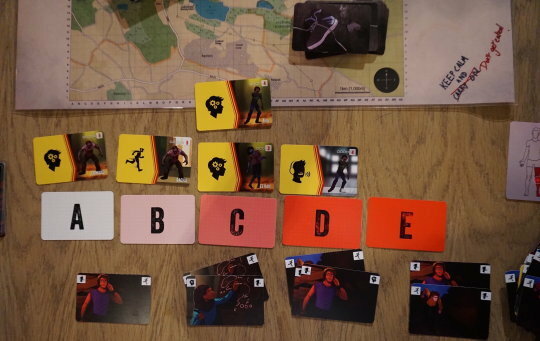 From this board game to the virtual races or our fitness book, we’re working constantly to bring you new, exciting and rewarding experiences that you can share with your friends. We hope you’ll agree that’s worth getting behind. Previous Post Limited Edition Halloween T-shirts!